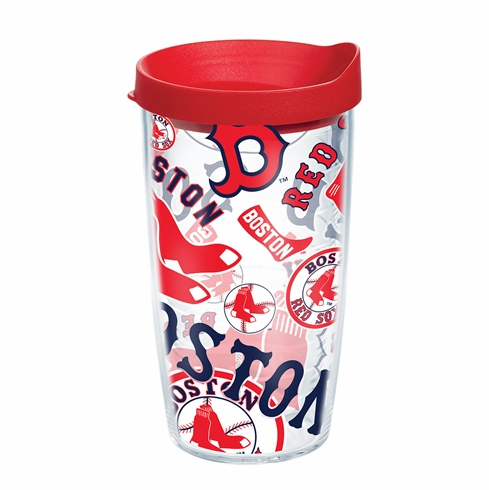 MLB Team All Over Wrap Tumblers with Lids by Tervis. Wrap design with a lot of full-color team logos. These insulated tumblers by Tervis come with a lifetime guarantee. They're top shelf dishwasher safe, ideal for hot and cold drinks, virtually indestructible and made in the USA. These "made for life" mugs reduce the need for coasters.